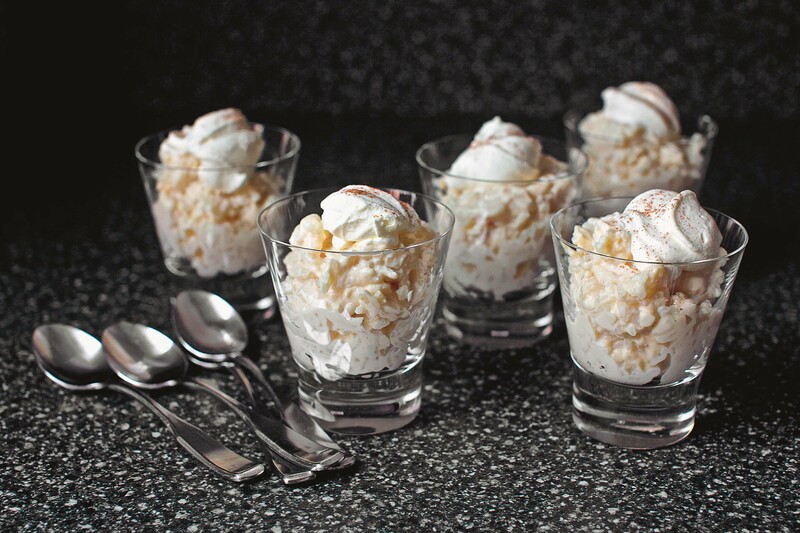 Deb Perelman shares the recipe for tres leches rice pudding from her new Smitten Kitchen cookbook. I am always on the hunt for new, healthy, innovative and delicious recipes that will appeal to everyone from my husband, who has a penchant for more hearty fare, to Little M, whose tastes seem to change almost every week, if not every day. My search has taken me through so many websites, blogs and cookbooks that I have lost count. But there are times when I come across a food blog that really manages to captivate my attention and inspires me to practically run to the kitchen and start cooking. 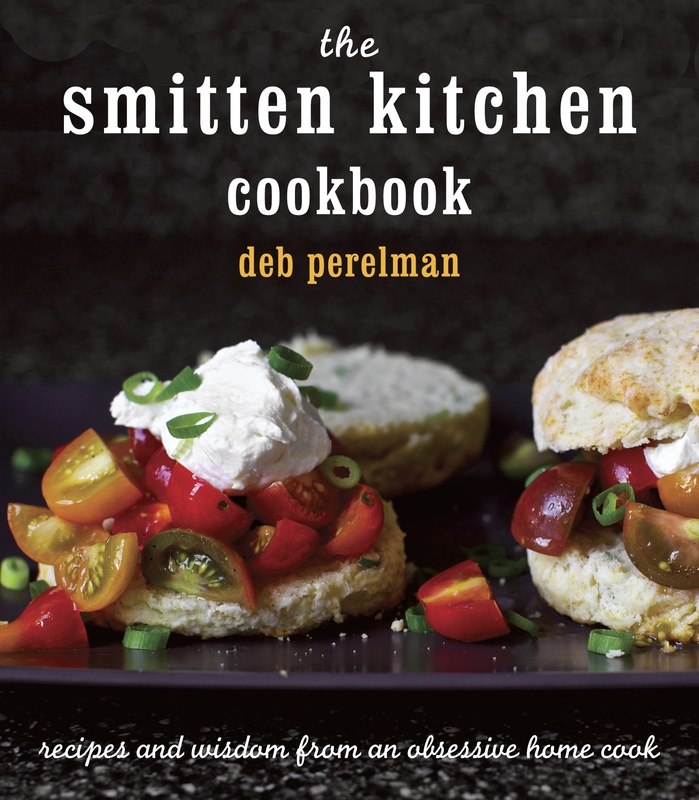 That is how I feel about Smitten Kitchen, an incredible food blog, and now cookbook, by Deb Perelman. Deb, who is a self-described obsessive chef, cooks from her tiny Manhattan kitchen and has created some of the most mouth-watering recipes I have ever come across. If you haven’t had a chance to check out her blog yet, you really should. Deb also takes the beautiful food photos that accompany each recipe. I love how she shares photos of the food prep throughout the cooking process, it always gives me confidence that I am on the right track with the recipe. I have been anxiously waiting for the release of the Smitten Kitchen cookbook and I am happy to report that it is now available for purchase! I managed to get a copy and let me tell you, I have spent a lot of time already perusing the recipes, staring at the gorgeous photos and making mental notes of when I will find the time to cook all of the wonderful dishes. Now, I think I know what you are about to say and yes, technically this is not a kids’ cookbook. But here’s the thing, Deb has a toddler (an adorable boy named Jacob who appears in the cookbook too), and in many of her recipes, both on her blog and in her cookbook, she mentions Jacob, what she cooks for him (like this insanely good spaghetti with broccoli cream pesto) and what some of his favorite meals are. I am a big believer in cooking one meal for the entire family. It is a great way to make sure everyone is eating something healthy, introduce your kids to new flavors and cut down cooking time in the kitchen by not making several different meals for every member of your household! Deb has generously shared one of the her recipes with Crayons and Croissants’ readers! Read below for a sneak peek from her new cookbook. You can buy your copy here. But this— a riff on one of the best variants of arroz con leche I’ve made, which, in its original incarnation on my site, I adapted from Ingrid Hoffmann’s wonderful recipe— is my favorite, for two reasons: First, it knows me. (That’s the funny thing about the recipes I create!) It knows how preposterously bad I am at keeping stuff in stock in my kitchen, like milk, but that I seem always to have an unmoved collection of canned items and grains. Second, it’s so creamy that it’s like a pudding stirred into another pudding. The rice is cooked first in water. I prefer to start my rice pudding recipes like this, because I’m convinced that cooking the rice first in milk takes twice as long and doesn’t get the pudding half as creamy. Also, it gives me a use for those cartons of white rice left over from the Chinese take- out I only occasionally (cough) succumb to. Then you basically cook another pudding on top of it, with one egg and three milks— coconut, evaporated, and sweetened condensed— and the end result will be the richest and most luxurious rice pudding imaginable. But why stop there? For the times when the word “Enough!” has escaped your vocabulary, I recommend topping it with a dollop of cinnamon- dusted whipped cream, for the icing on the proverbial cake. To cook the rice, put the rice, 2 cups of water, and the salt in a medium saucepan with a tight- fitting lid. Bring to a boil— you should hear the pot going all a flutter under the lid and puffing steam out the seam. Reduce to a low simmer, and let the rice cook for 15 minutes, until the water is absorbed. Remove the rice pot from the heat. To serve, whip the heavy cream with the confectioners’ sugar until soft peaks form. Dollop a spoonful of whipped cream on top of each bowl of rice pudding, dust with ground cinnamon, then enjoy. Cooking note, if you have 2 cups of leftover white rice, you can skip the first step, and jump in with the egg and three milks. Photos and recipe from The Smitten Kitchen Cookbook by Deb Perelman. Wow, rice pudding sounds amazing!